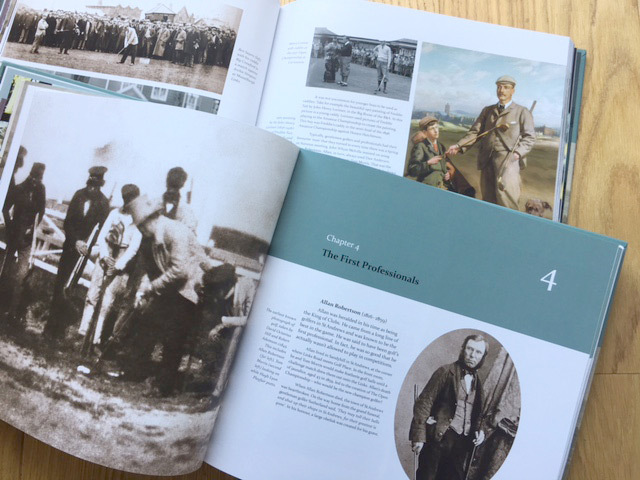 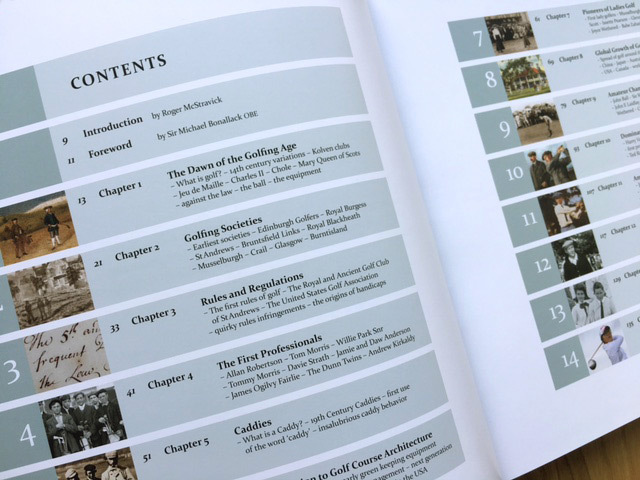 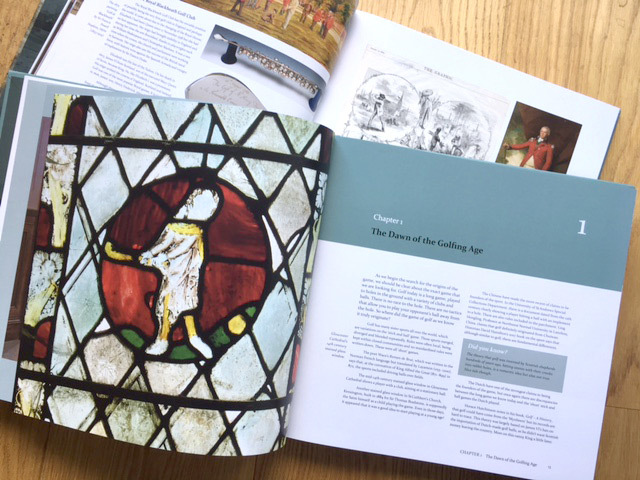 As a follow-up to ‘StAndrews in the Footsteps to Old Tom Morris’ – which won both the USGA Herbert Warren Wind Book Award and the BGCS Murdoch Medal last year – Roger McStravick has now written ‘A History of Golf’, which, with its rare photographs and paintings expertly illustrates this Royal sport through the ages. 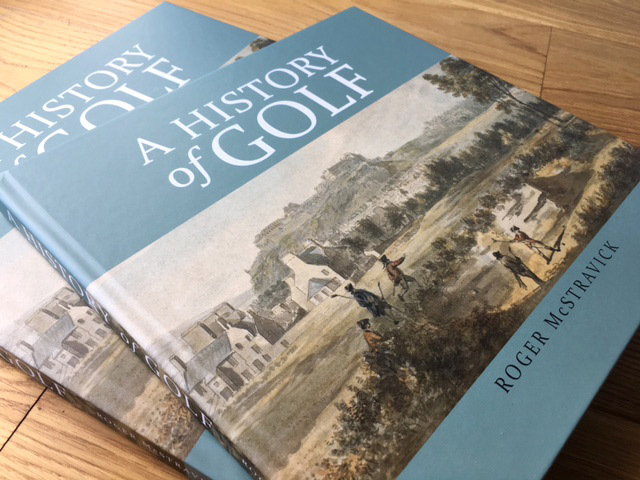 The Foreword is by Sir Michael Bonallack OBE, who himself had a superb amateur golfing career, then became Secretary then Captain of the R&A. 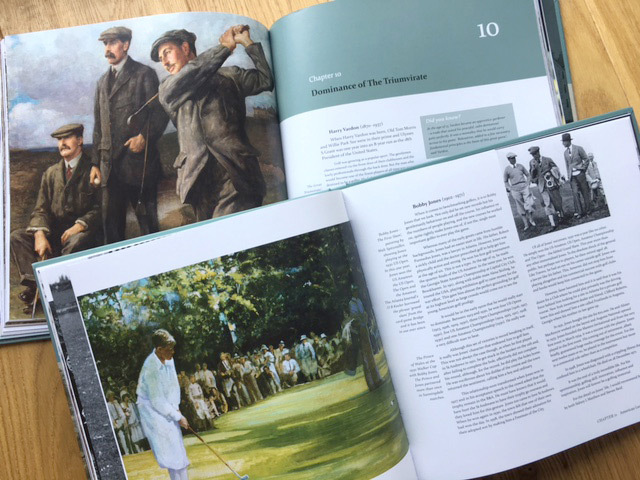 It is a fascinating, colourful read – all 156 pages of it – and highlights some intriguing ‘Did you know’ golf facts throughout its chapters. 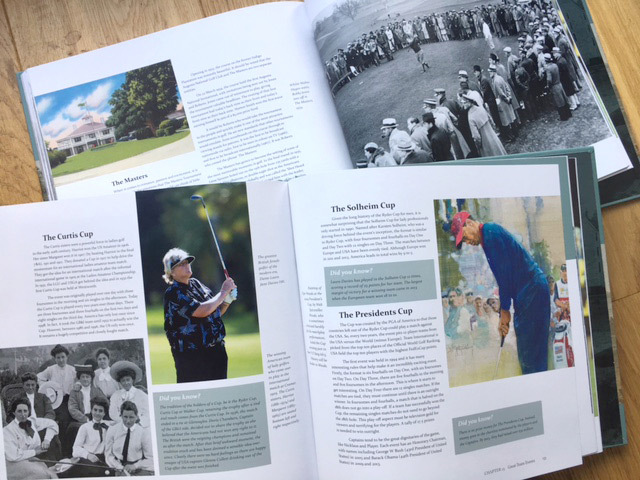 Yet again, the search for images has unearthed some wonderful old photographs of golf, golfers, golf courses and equipment and these are presented in top quality in the book, many retouched to their former glory and expertly printed on beautiful silk art paper. 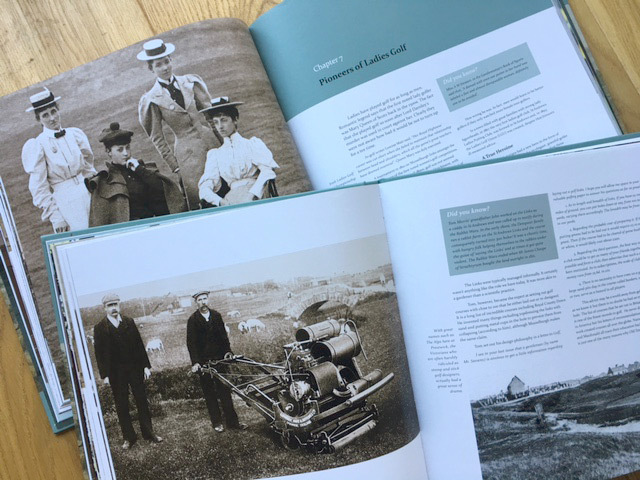 One of my favourite images is the early grass cutting machine on page 56, with the sheep in the background on the golf course, helping the green keeping staff to keep the grass short! 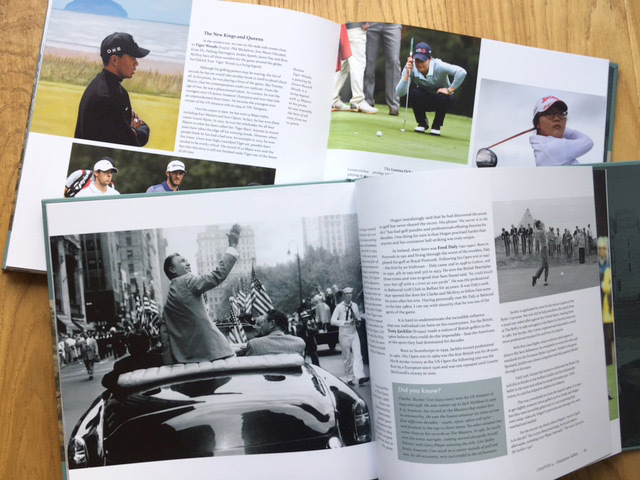 This is now the 9th golf book that I’ve had the pleasure and honour to have designed. 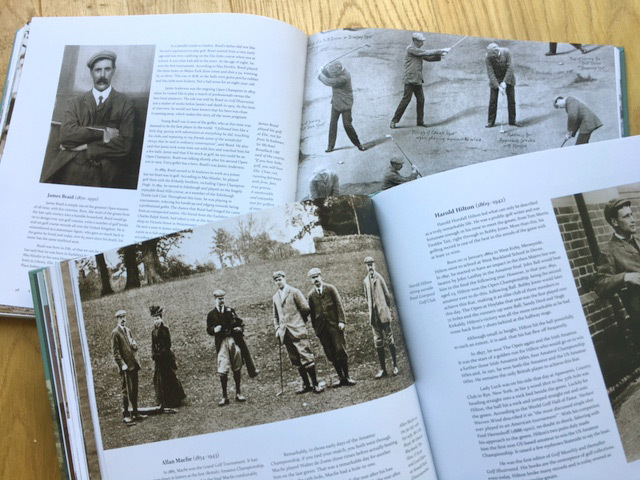 Now for the back nine!